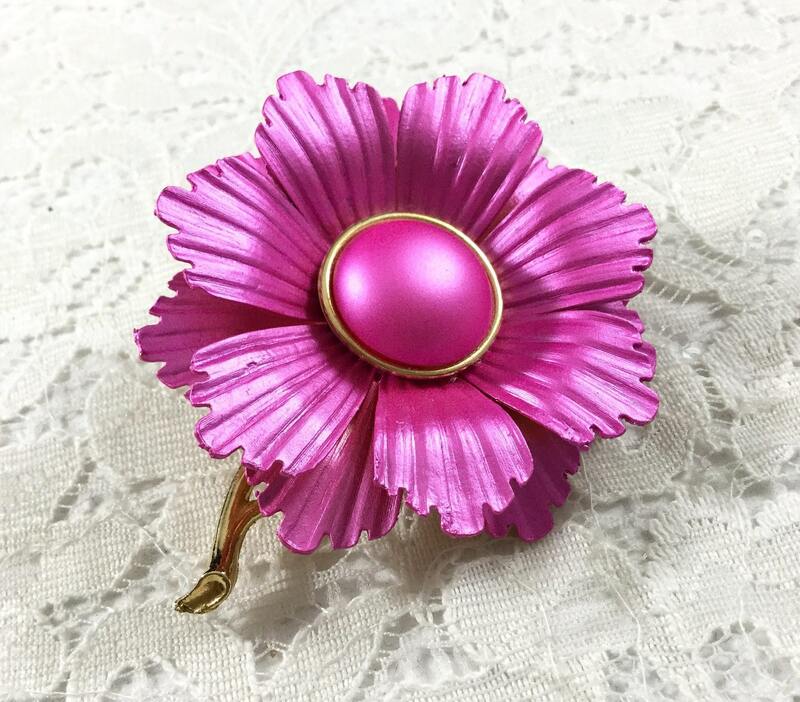 This is a pink, satin enamel over goldtone textured metal. 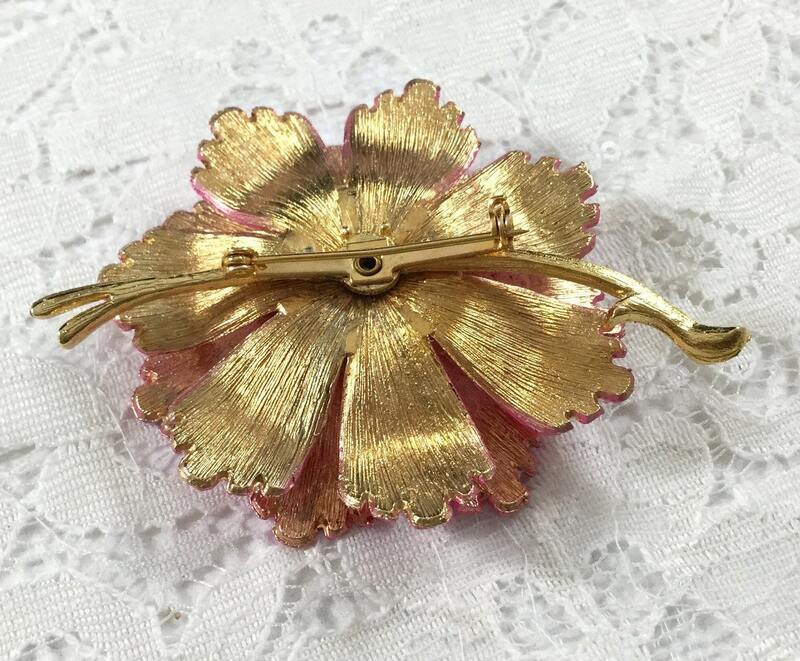 This mid century set includes a brooch and earrings, and is in excellent condition. 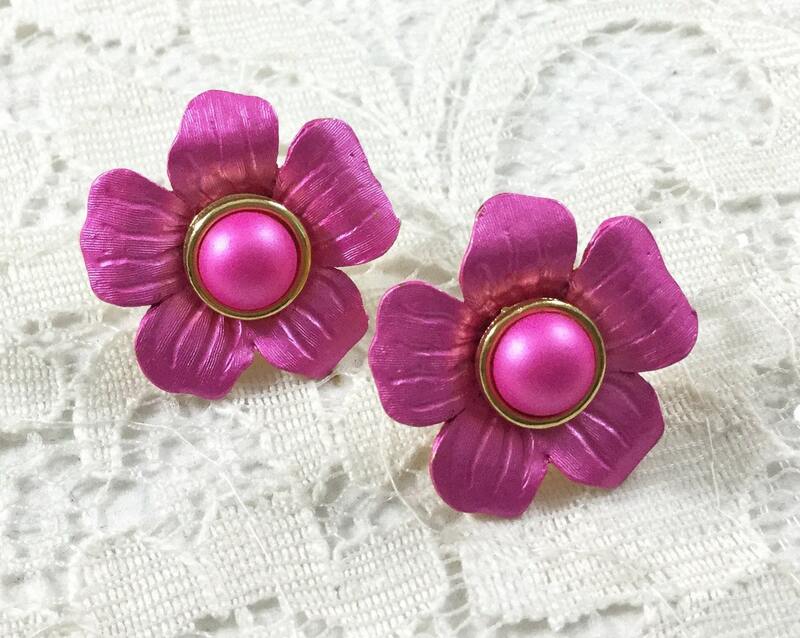 The flower measures 2 1/3" in diameter and the earrings 1". 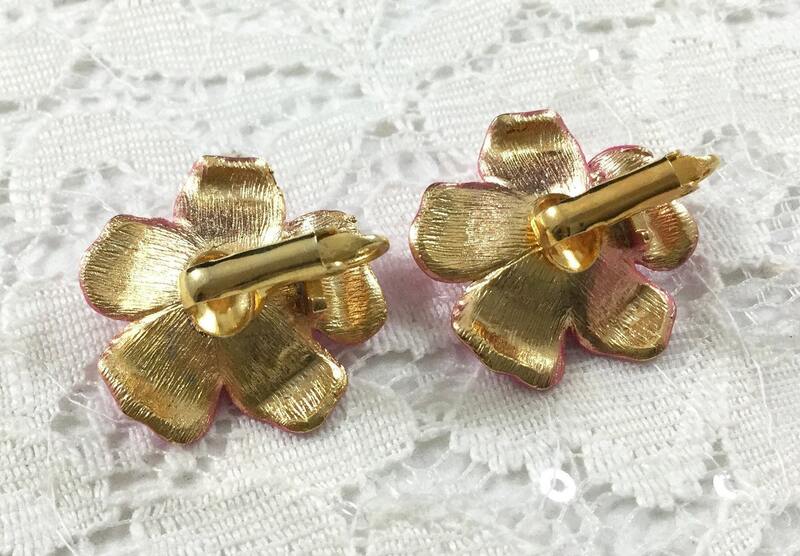 The pin closure is straight and works smoothly and securely, and the earring clips are good and tight.. This is a sensational hot pink set for all of the pink lovers!! 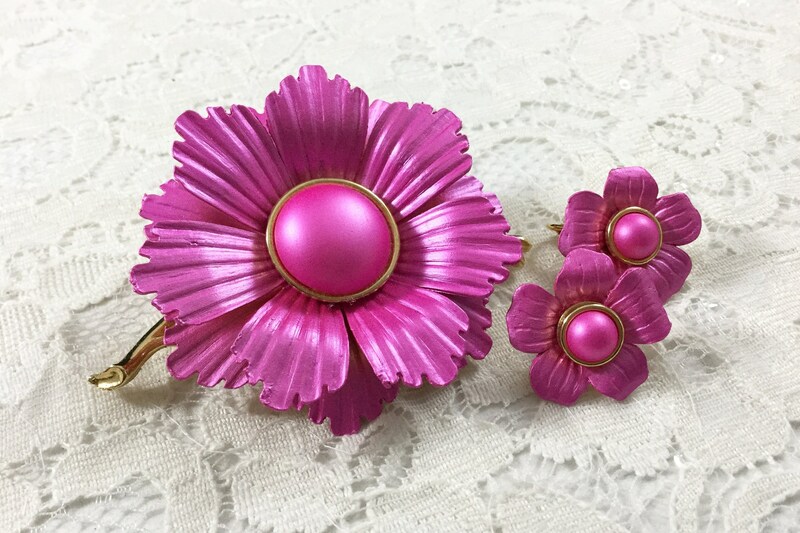 This vibrant set will be amazing on any outfit for work or play and all eyes will be on you!